You can see from the nicknacks that Larry was a collector! 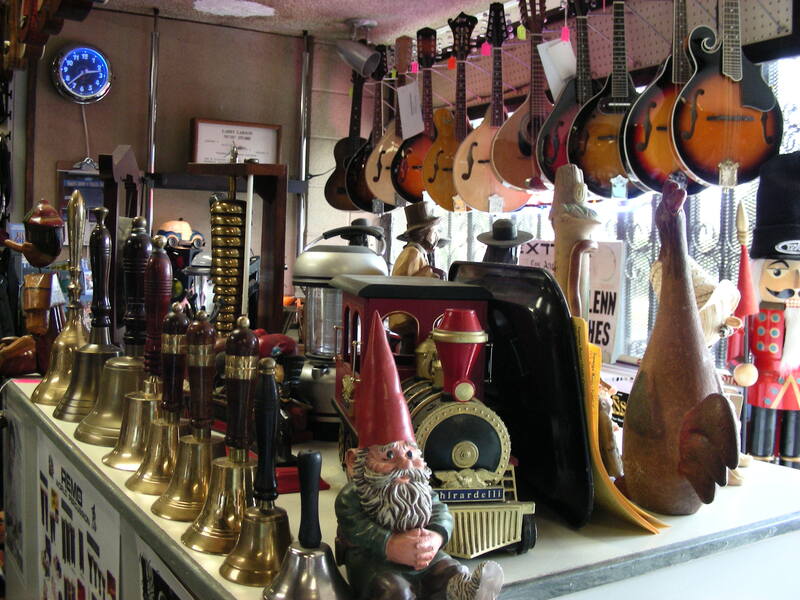 Bells, mandolins, and much more! 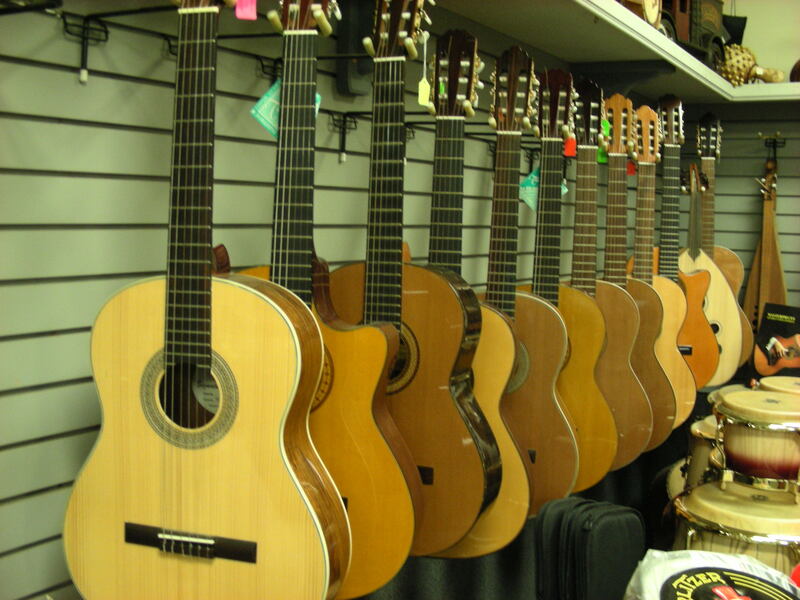 We have a large selection of ukuleles in all sizes: soprano, concert, tenor, and baritone, and bass. 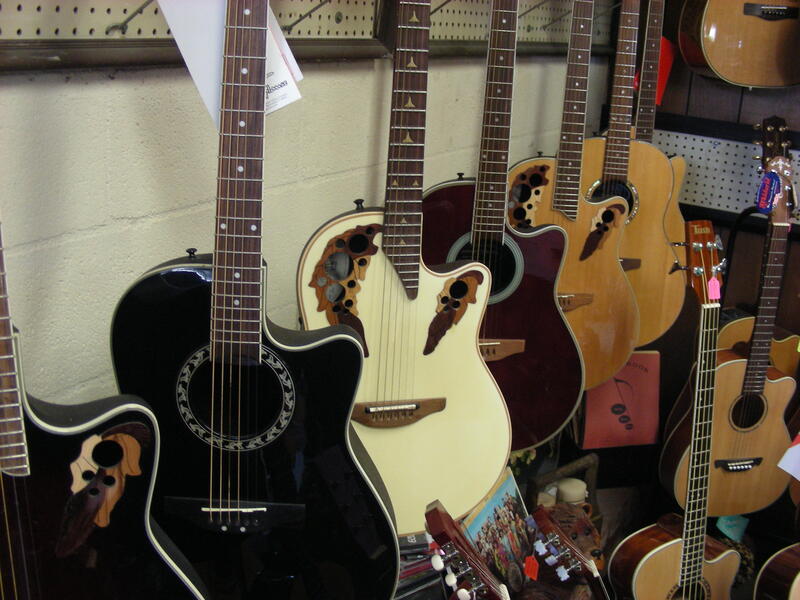 We have an iventory of over 200 ukuleles ranging in price from $39.95-$2000.00. 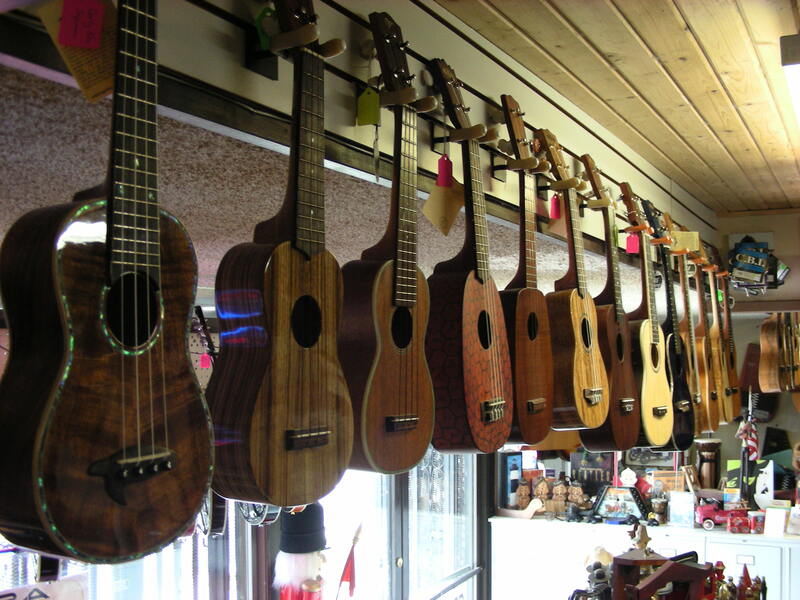 Our ukulele brands include Kala, Amahi, Ohana, Luna, Samick, Makai, Applause, Epiphone, Big Island Ukulele and more. 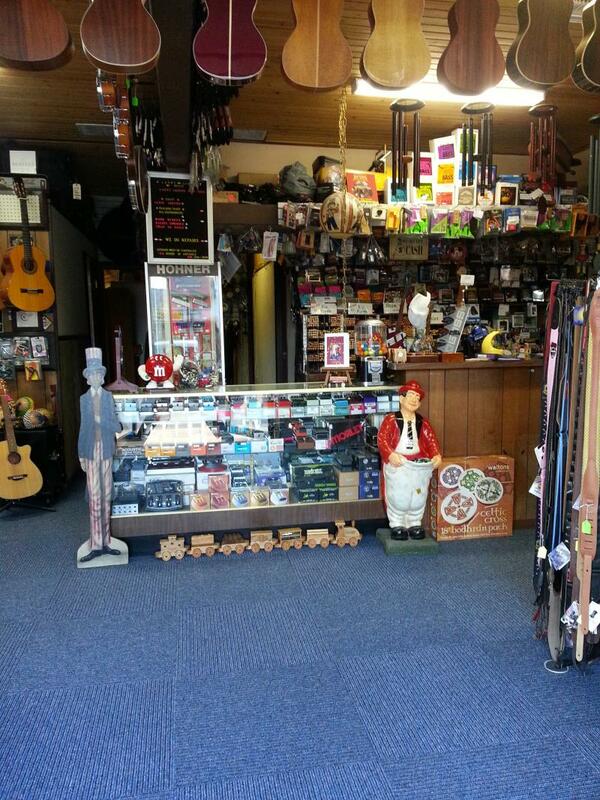 We even have handmade USA ukuleles! 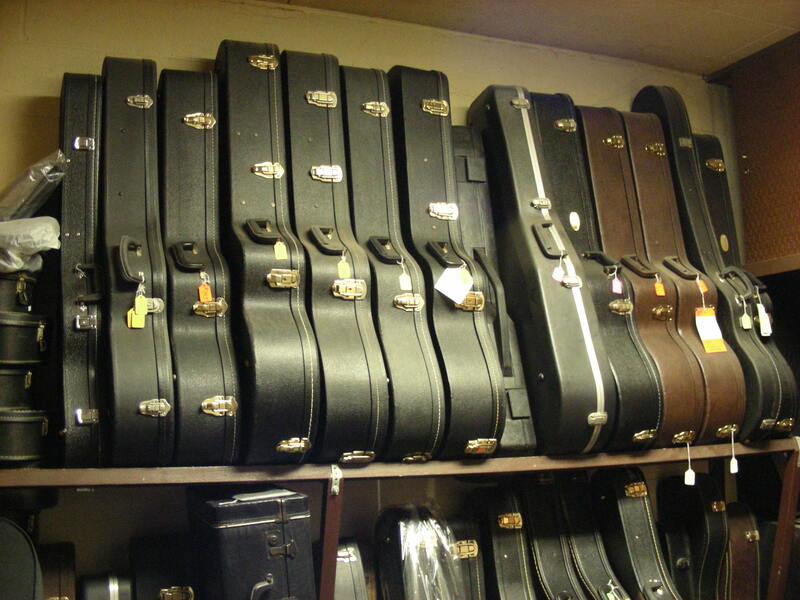 Classical guitars, ouds and more... A whole display case full of guitar pedals! 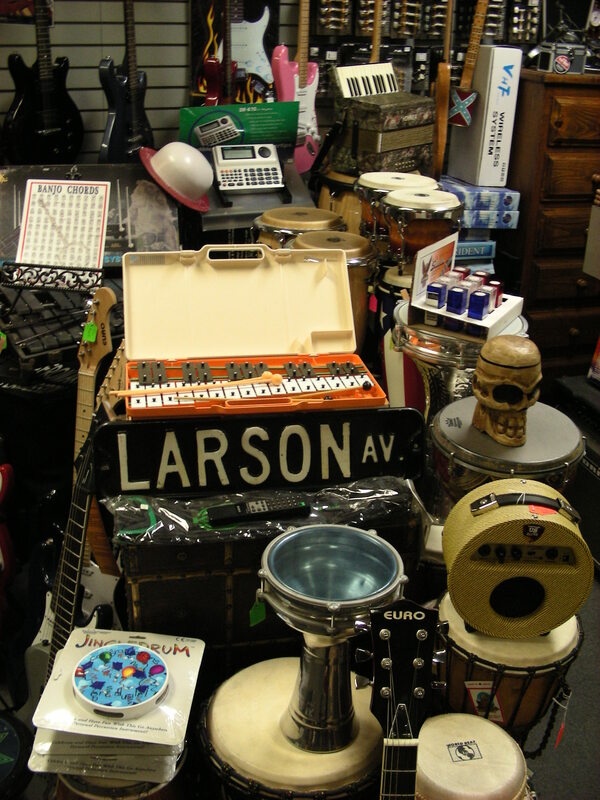 We have cajons, several African tongue drums and kalimbas, as well as a selection of ocarinas in several keys and qualities from plastic to authentic ceramic ocarinas made in Austria. 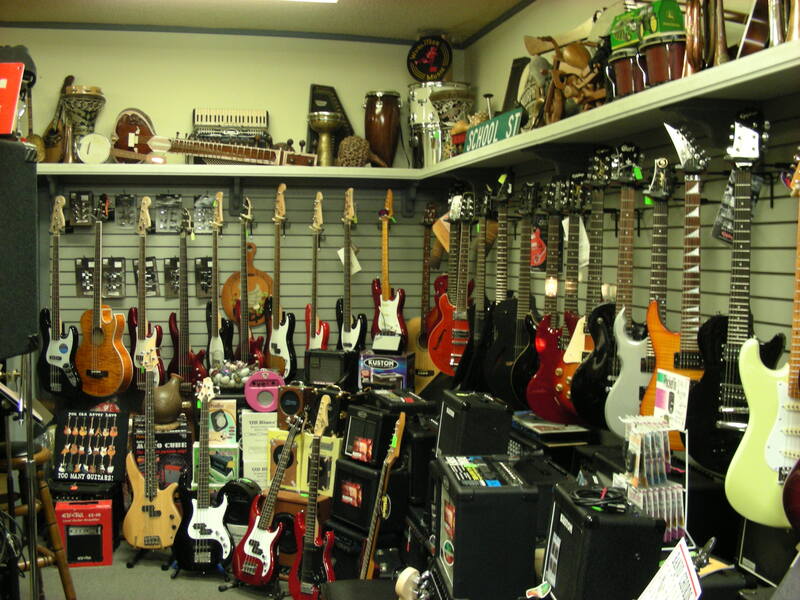 We have many guitars, basses, and amplifiers. 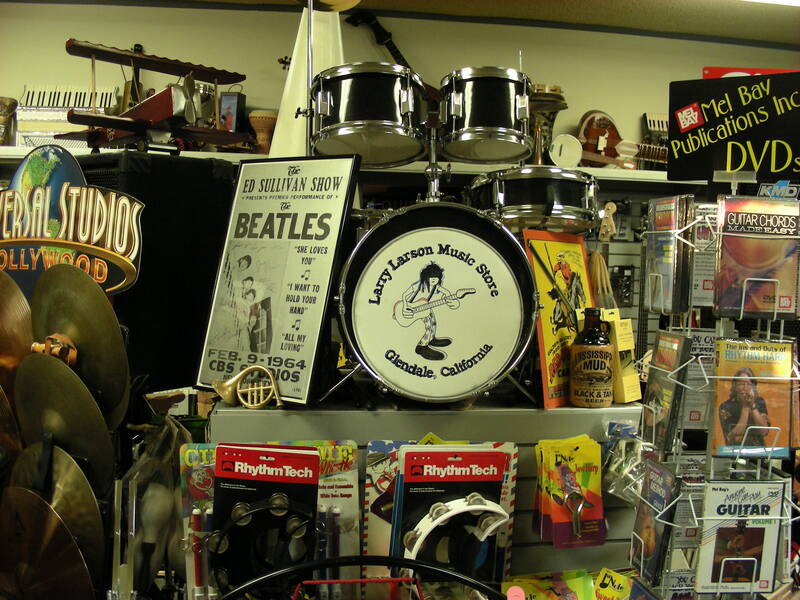 We sell junior and full size drum sets, various rhythm instruments, DVDs and more! You'll have fun looking through the store and finding that "something" you just can't live without! 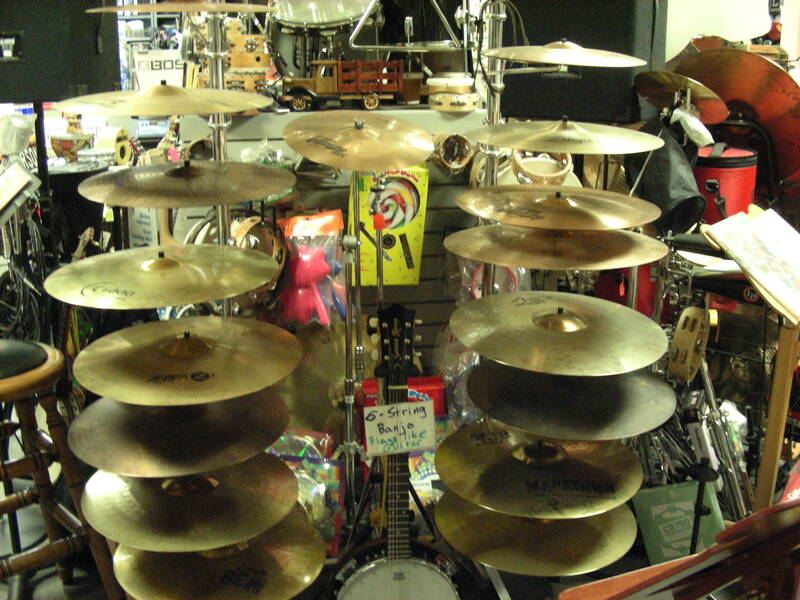 Cymbals, tambourines, banjos, and more! 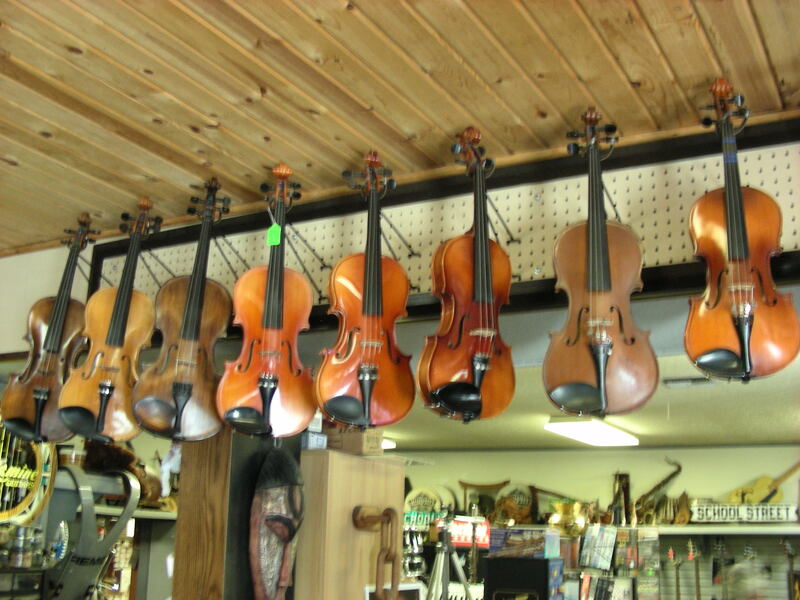 Student and intermediate violins and violas in all sizes. 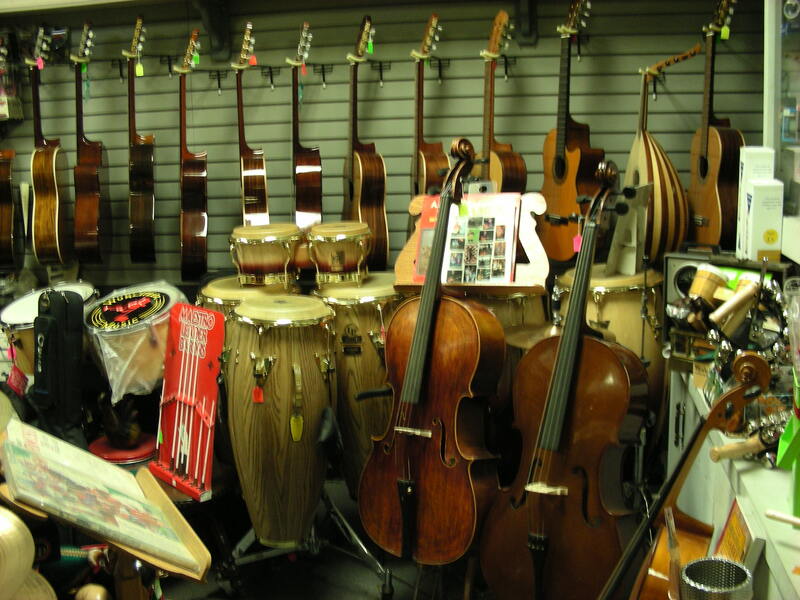 We have a large selection of cellos, drums, classical guitars and all sorts of rhythm instruments. 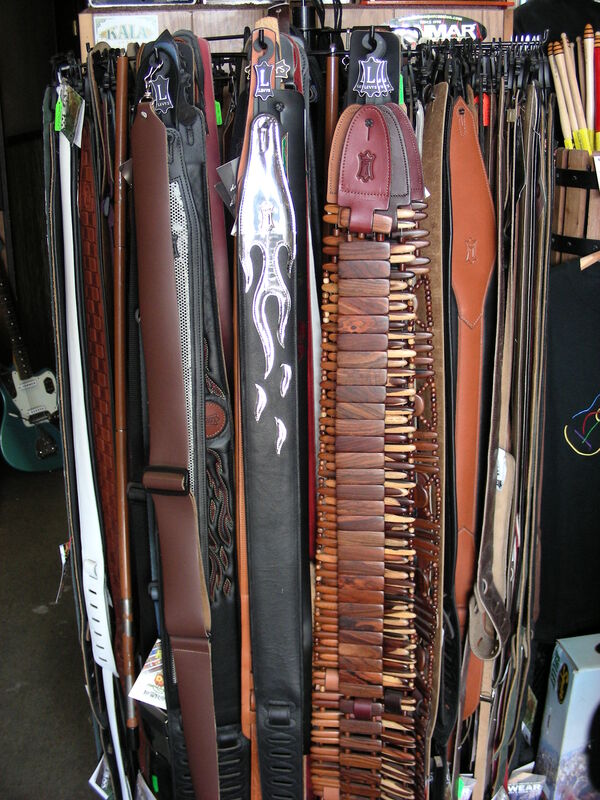 Behind the lap guitar and Turkish kanun you will find a display case full of effects pedals for your electric guitar and bass players. 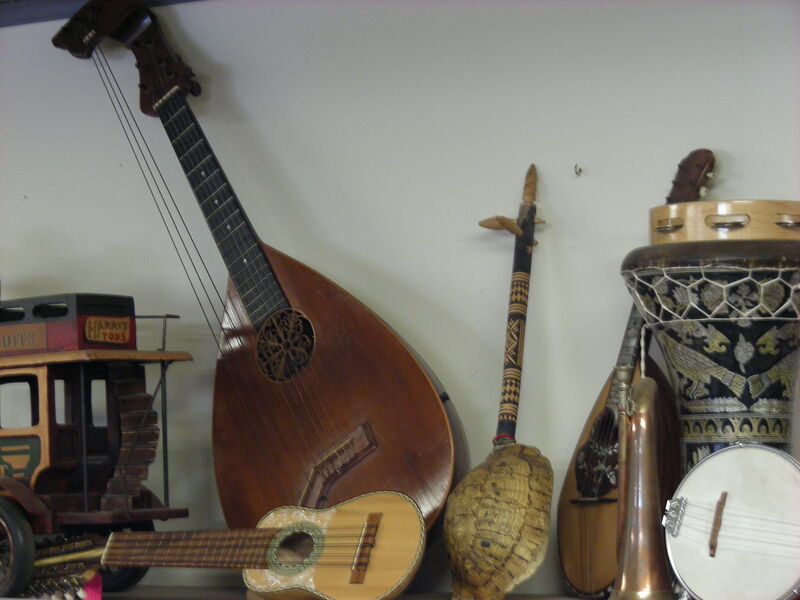 We carry an assortment of ethnic instruments from around the world. 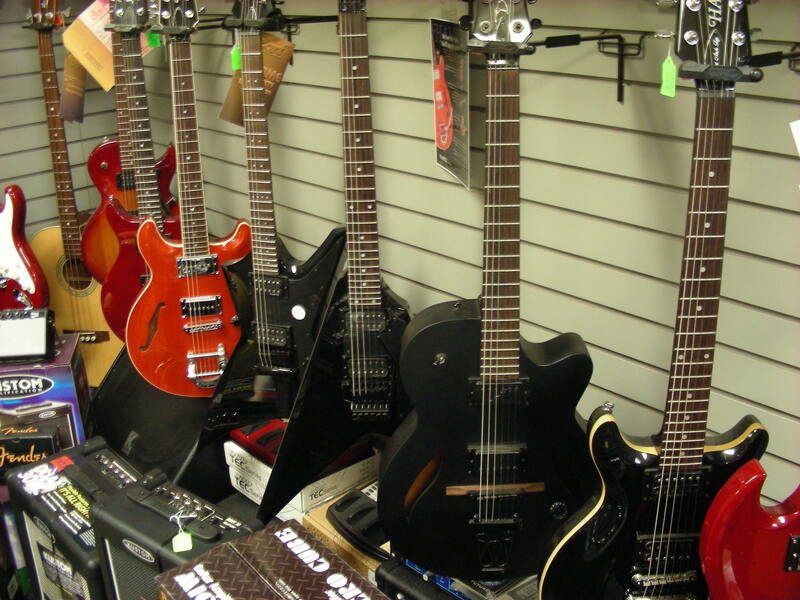 We have electric guitars - solid and hollow body. 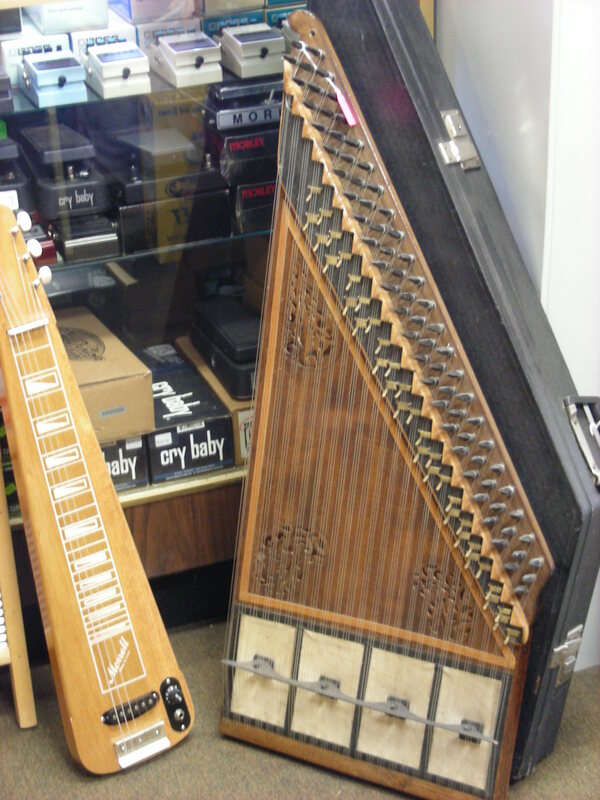 If you are looking for something that is not on display, we may have it in one of our five store rooms.